Pay to Hear Messages! PREMIER?????? Re: Pay to Hear Messages! PREMIER?????? scottlindner wrote: This has come up a couple of times before. 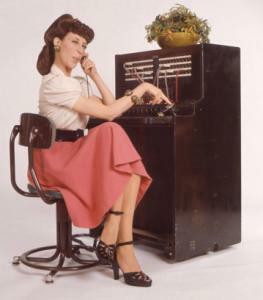 I think where people feel irked is that if you are a traditional phone user, you own your own answering machine and are willing to continue using it. Since you cannot turn off the Ooma Voice Mail feature (and setting it to 59 seconds will cause you to miss messages) you have no choice but to use Ooma's VM system. So you feel a bit taken by the situation. On the other side of the argument is that all VOIP providers do it this way, so it isn't like Ooma is doing anything out of the ordinary. I was upset about it too when I thought I was destined for Basic service. I'm slightly confused here, if you can set when the Ooma VM picks up, why couldn't you set it higher than your phones and boom your phones answering machine picks up? My phone I can set the machine to pick up from 3-7 rings I believe. So if I wanted Ooma to not pick up I'd set it for 1 ring higher than my phone, and problem solved. Because then people that call while the line is in use will cause calls to go to ooma's VM instead, and that equates to missed messages. What if you are talking on the phone or something else is already leaving a message? I missed over 100 messages over 2.5 years due to this very situation because QWest gave me a VM without even telling me. I didn't discover tons of important messages that were missed until the day I canceled my service to port and they informed me about some unlistened to messages to clean up prior to termination. What a shock that was. The only way to use your answering machine is to disable Ooma's VM, which is not an option. Not everybody can check their ooma system. There's a few people that have their ooma in the closet, or in any other infrequently accessed area. I have done this, it works just fine. You'll now have two VMs to check while on travel. Currently there is no special number to call to check VM. Since you are trying to beat the Ooma VM with your answering machine pickup time, when you call to get messages remotely, you'll get your answering machine, and not your Ooma VM. You'll never get your Ooma VM's while traveling. How do you get to your vm remotely on your secondary answer machine when ooma doesn't allow tones through their system? Last edited by just4fn on Wed Jul 15, 2009 6:43 pm, edited 1 time in total. This is further reason that using an answering machine is not really an option. Last edited by scottlindner on Wed Jul 15, 2009 2:03 pm, edited 2 times in total. It is not necessary to be adversarial.